With great pride and pleasure I would like to announce that my book ‘Laminitis: Understanding, Cure, Prevention’ is for sale from today. This book comprehensively explains what happens in the horse’s body in case of laminitis, including extensive discussion of the latest scientific findings. The book describes many up to date practical solutions and preventative measure of good nutrition, housing, exercise and correct hoof care to address the disease. 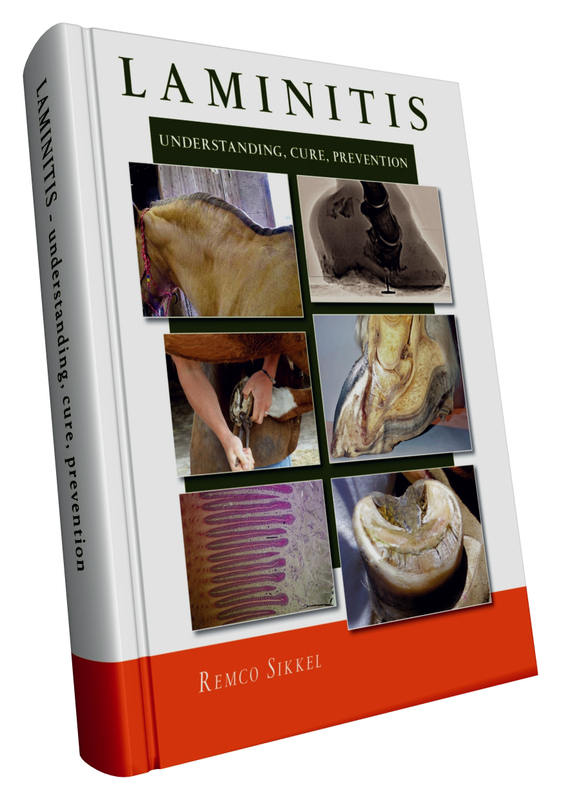 ‘Laminitis: Understanding, Cure, Prevention’ is an absolute must have for everyone who works with or cares for a laminitis prone horse, pony or donkey. Both the paper back and hard back will be for sale soon through many different channels. As from today it can be ordered through Amazon. I hope many horses, ponies and donkeys will benefit from the publication of this book. So if there is one message that is worth to be shared or even go viral, then this is it!